A new study in the Journal of Occupational and Environmental Medicine paints a picture of RNs in the United States dealing with lots of physical and mental health problems. By cross referencing responses of a survey of 1,790 American nurses to medical wellness data, researchers were able to determine that nurses with poor mental or physical health reported up to a 71% higher likelihood of medical errors than healthier nurses. Almost a third of nurses in the survey said they dealt with at least some depression or anxiety on the job, while less than half said they had a high quality professional live. 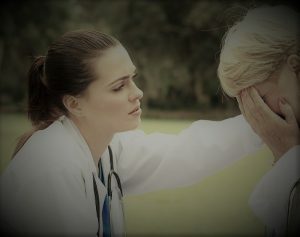 Researchers pointed to depression as a particularly daunting problem for nurses, due to a stigma and fear of losing licensure among clinical nurses.